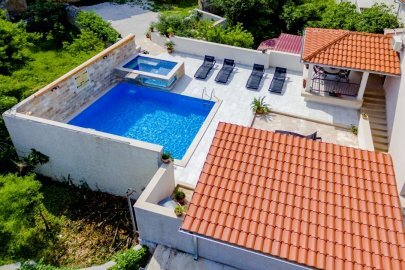 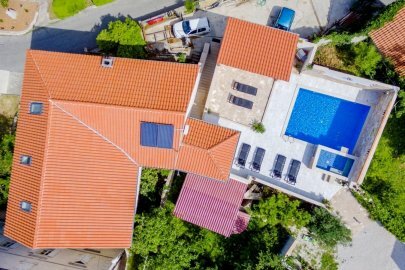 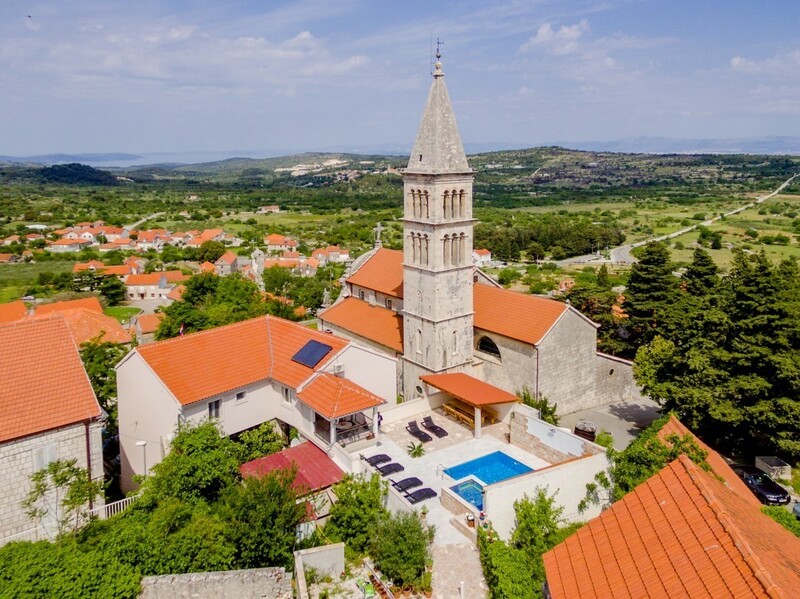 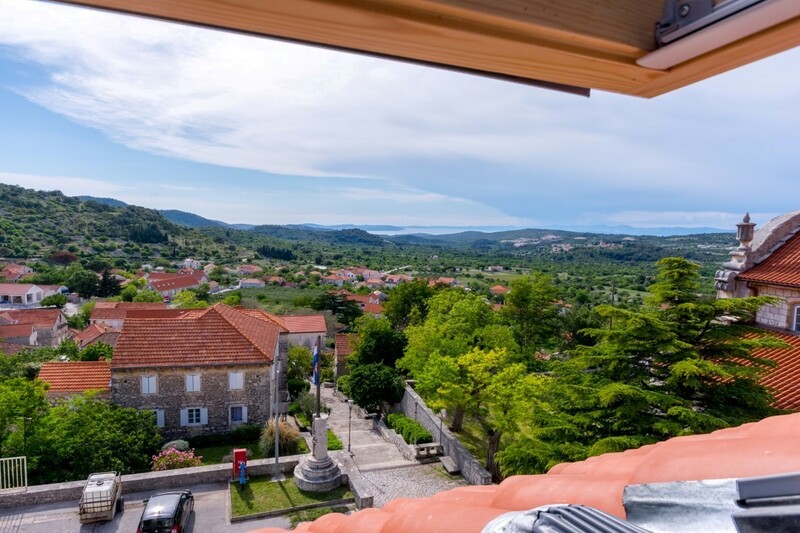 The beautiful villa Silente is situated in the picturesque place Nerežišća in the middle of the island Brač, only 7 minutes away from Supetar and a 20-minute-drive away from Bol. 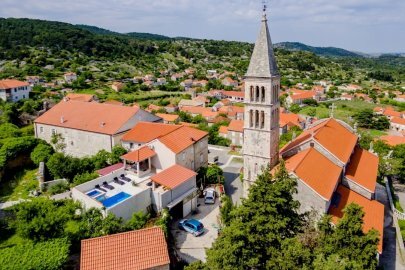 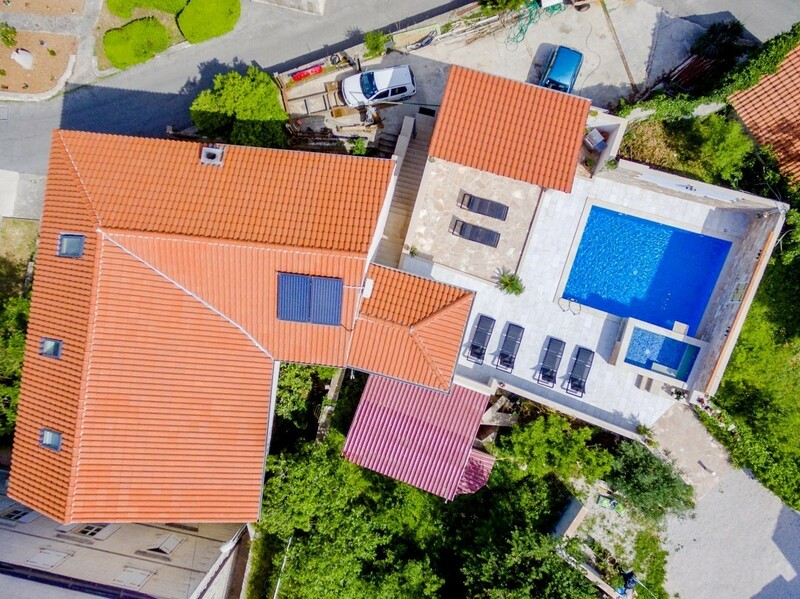 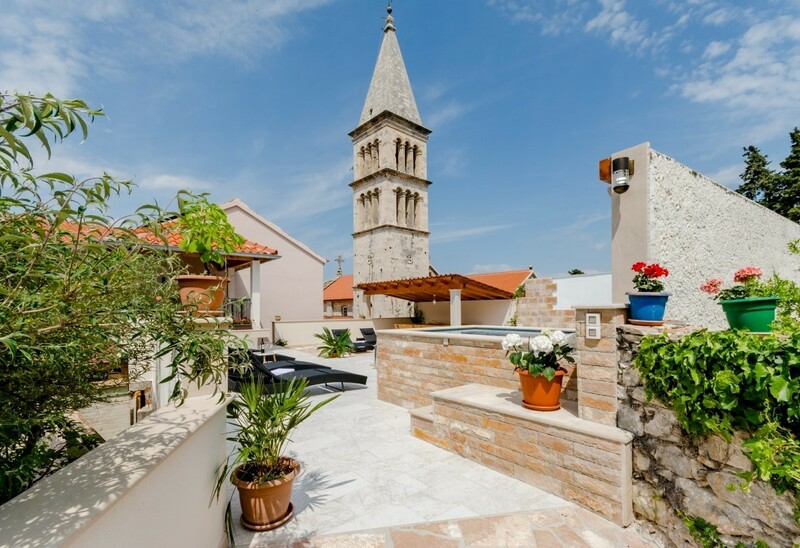 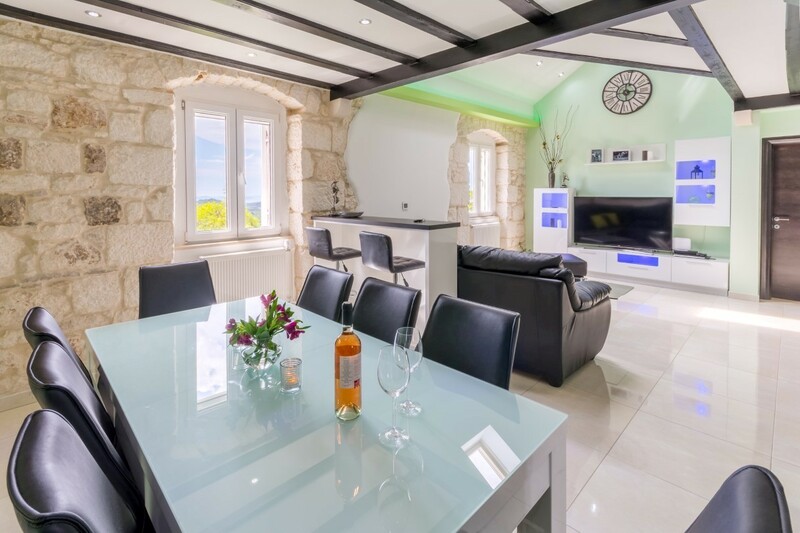 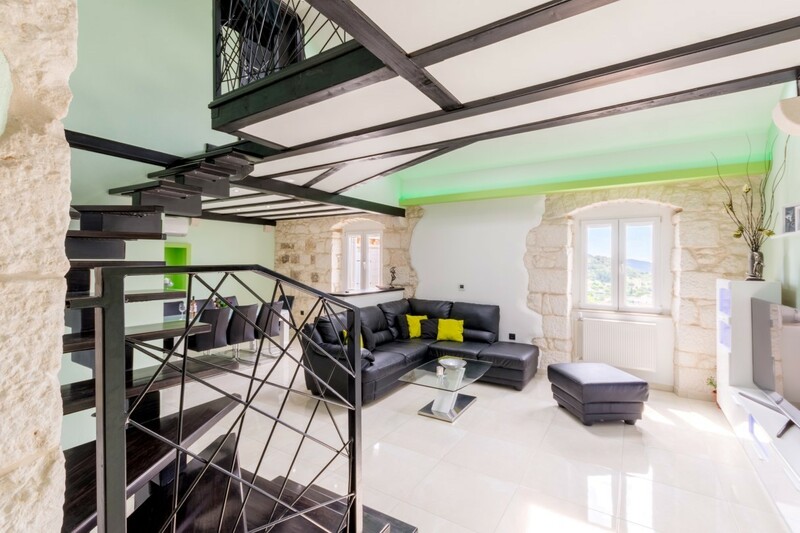 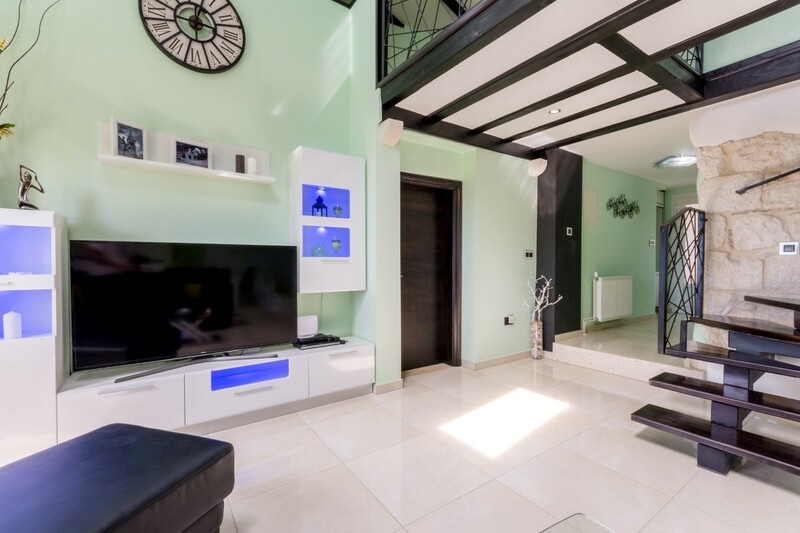 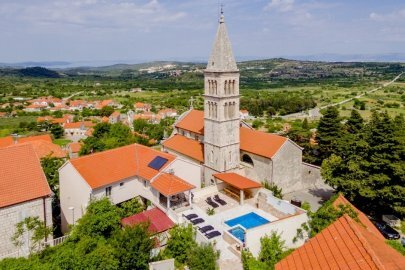 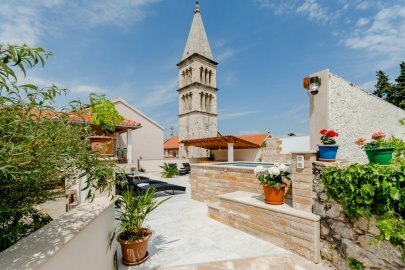 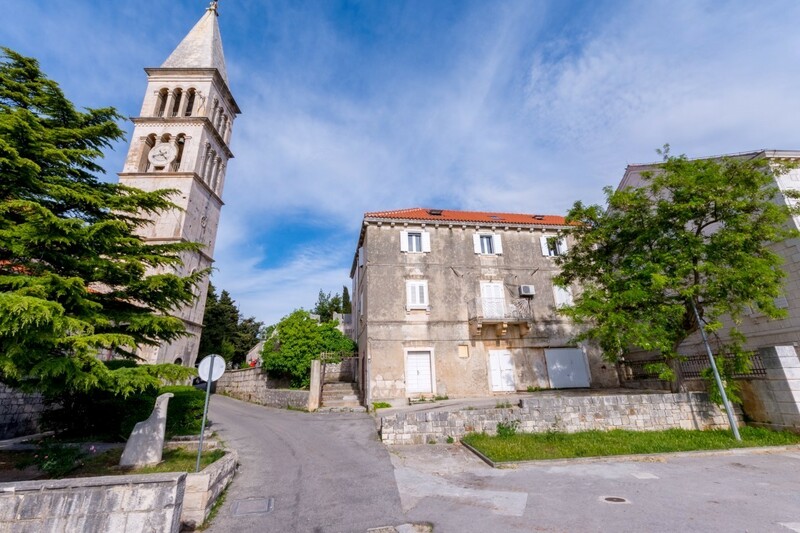 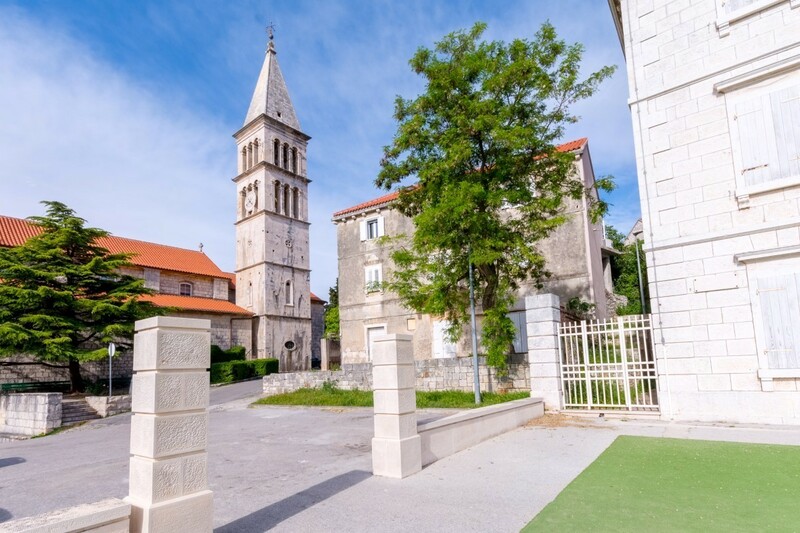 Overlooking the tower of a local church, this modern villa offers guests incredible peace and an amazing view of the west side of island Brač. 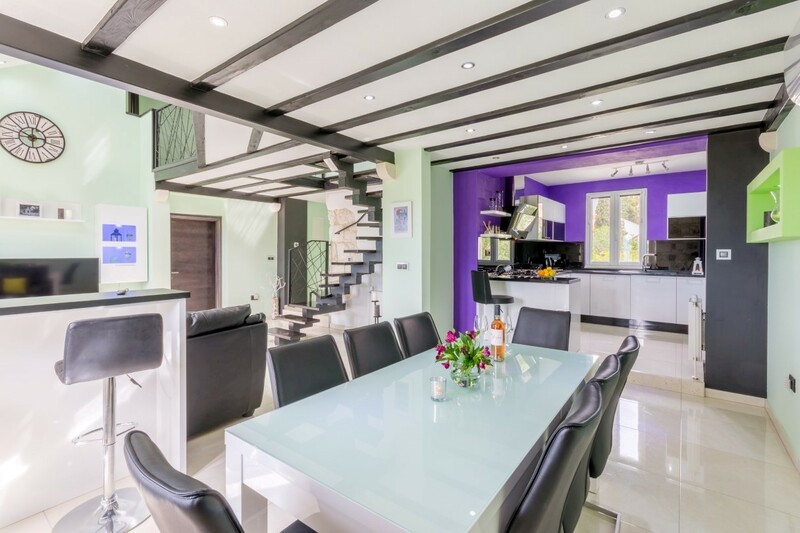 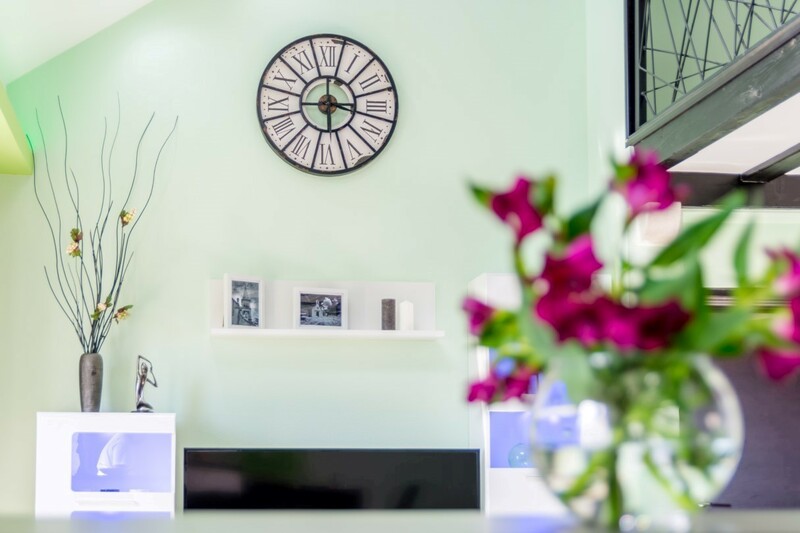 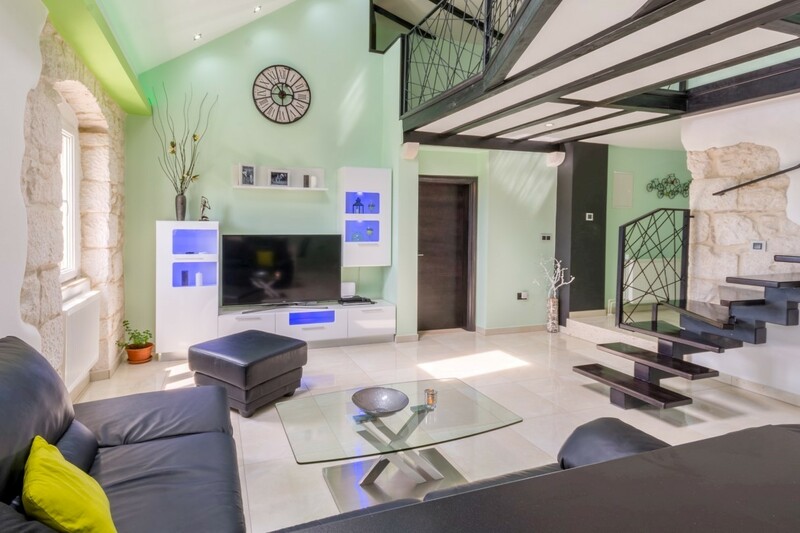 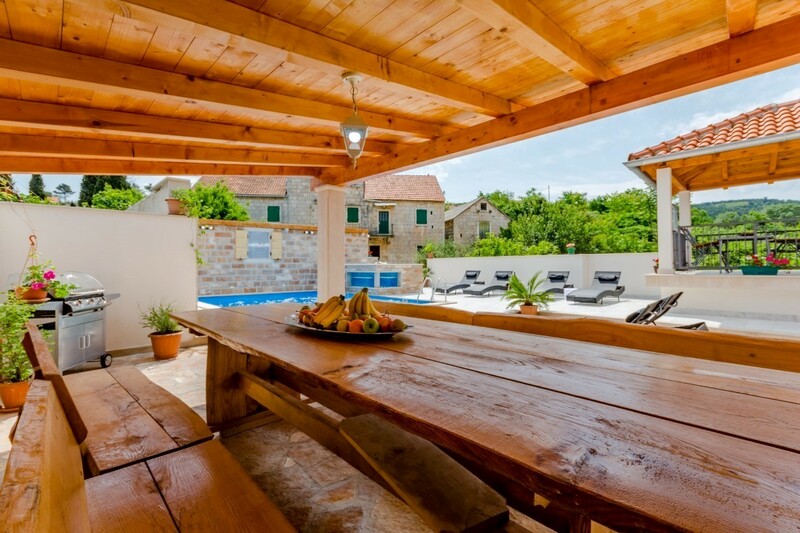 The spacious villa Silente comfortably accommodates up to 12 guests. 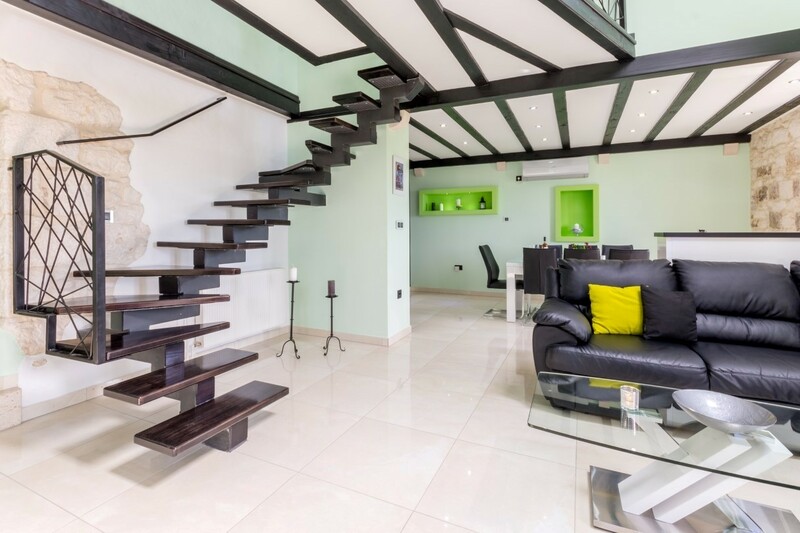 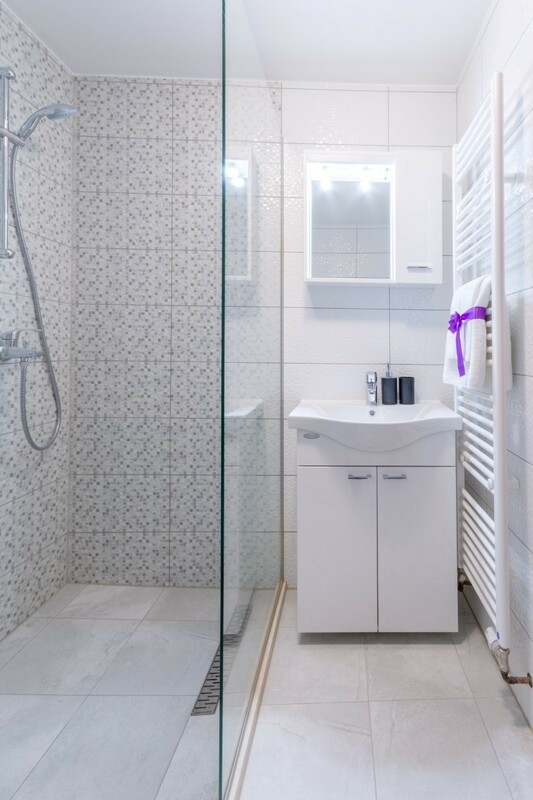 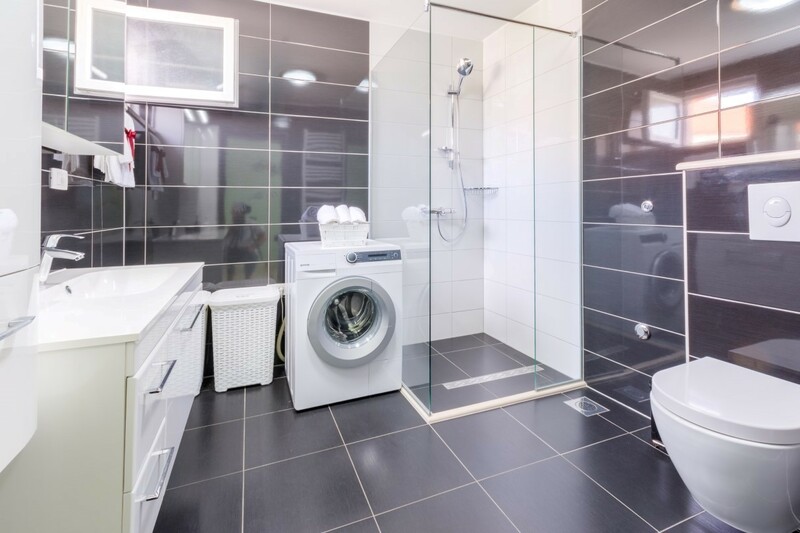 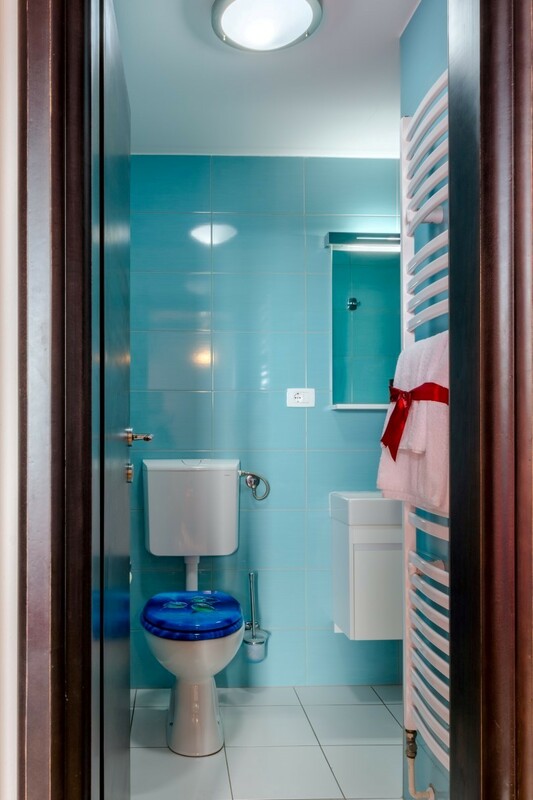 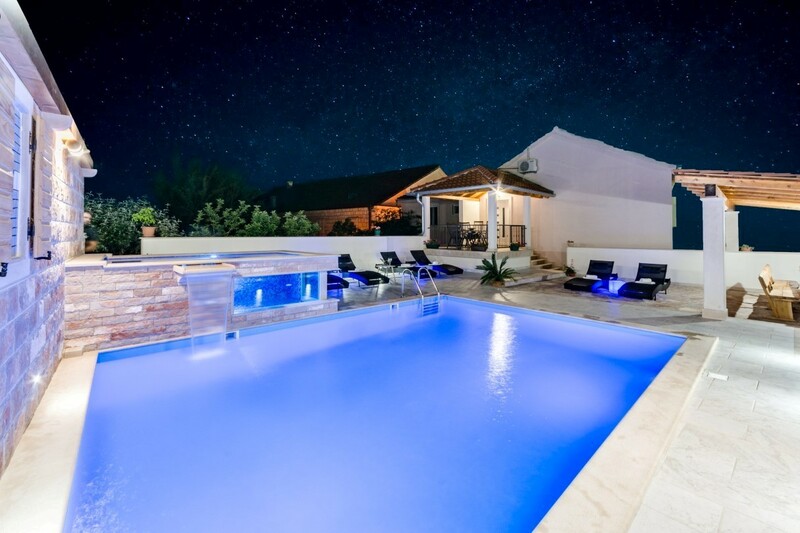 It consists of 3 bathrooms, 4 bedrooms, one having an extra bed and a private bathroom. 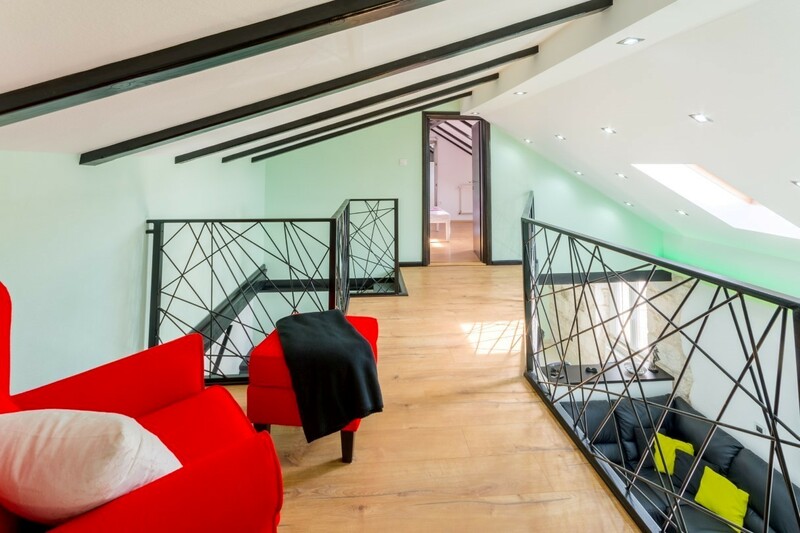 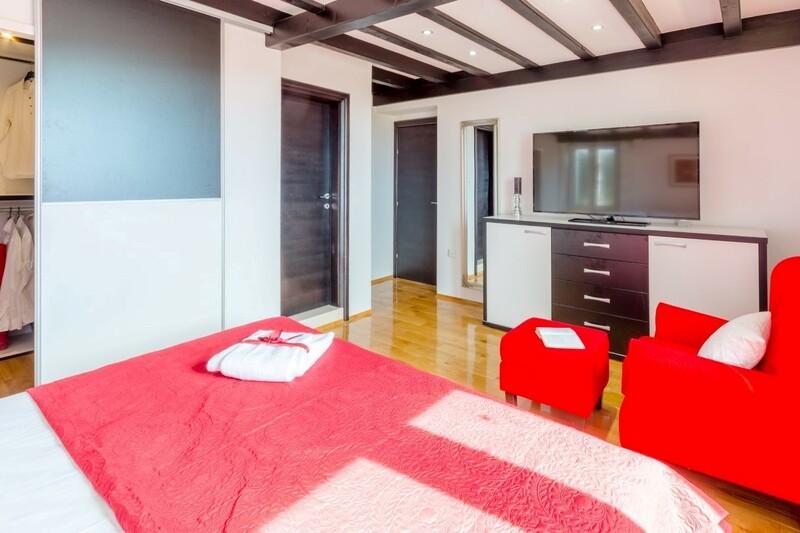 It also has two living rooms that have sofa beds for 3 people. 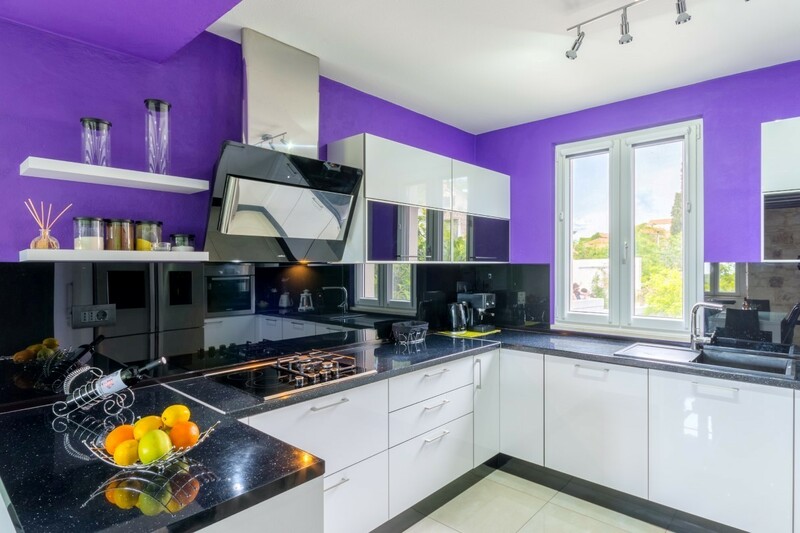 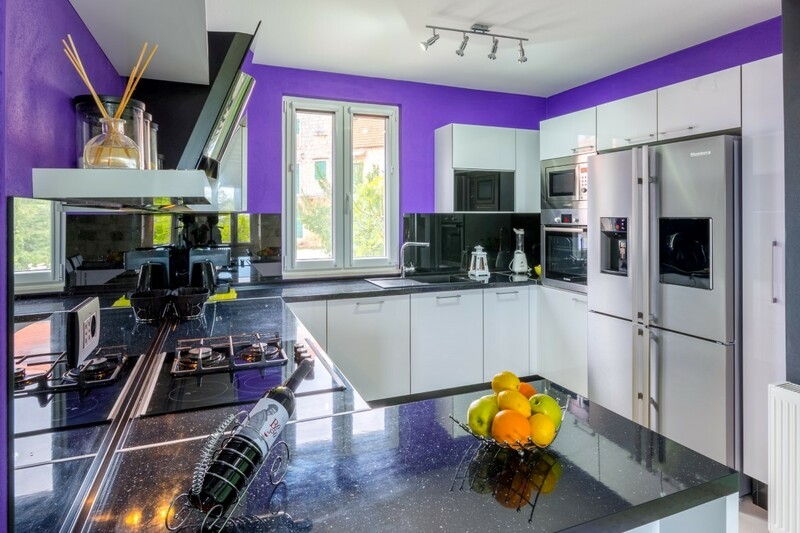 At the guests’ disposal are two fully equipped kitchens and Play station 4 as an entertainment system is available in the living room. 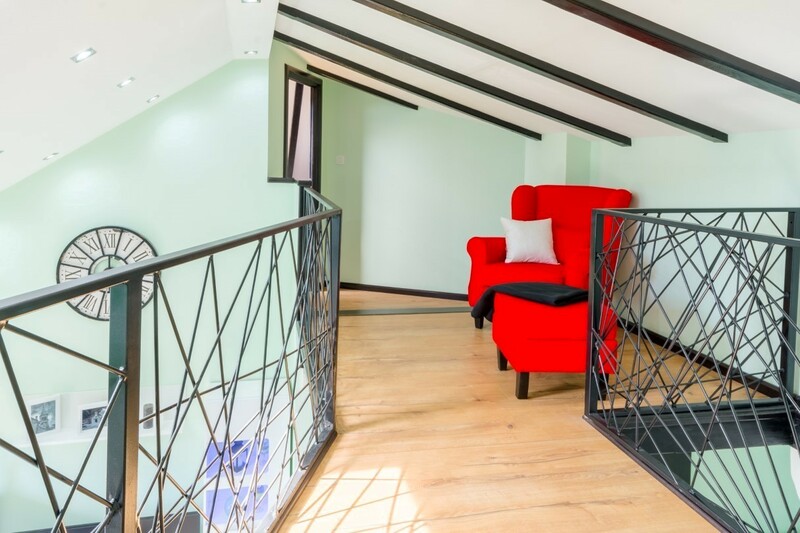 If guests want to taketheir pets on holiday, the hosts of villa Silente will allow that with extra charge. 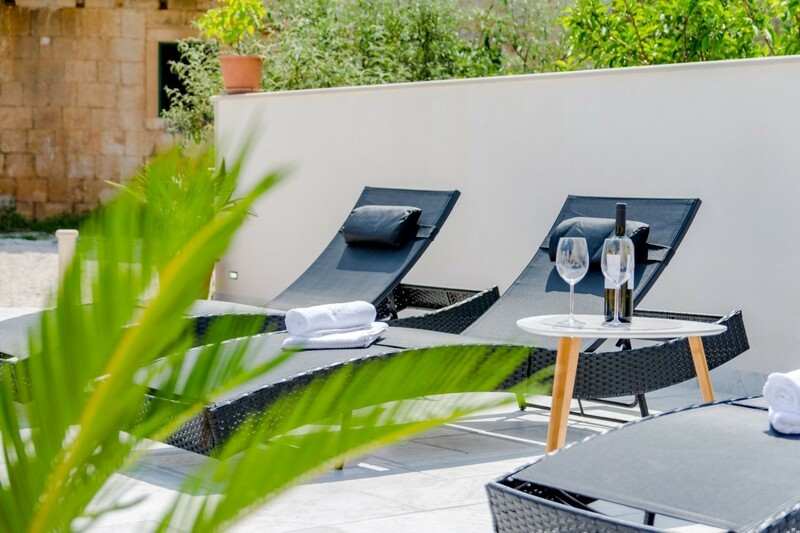 The outside area calls for rest and relaxation. 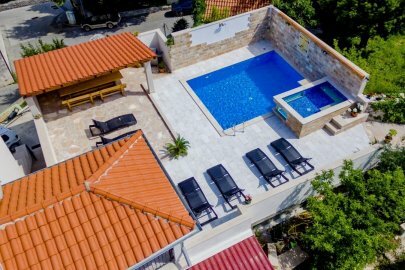 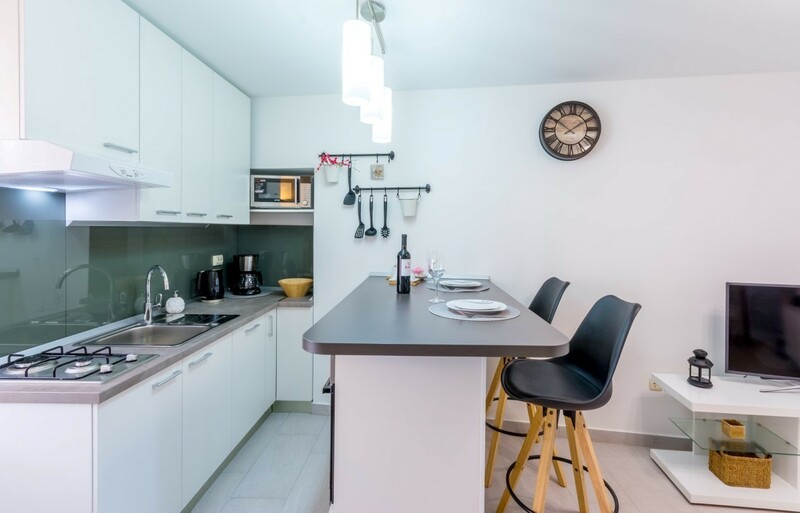 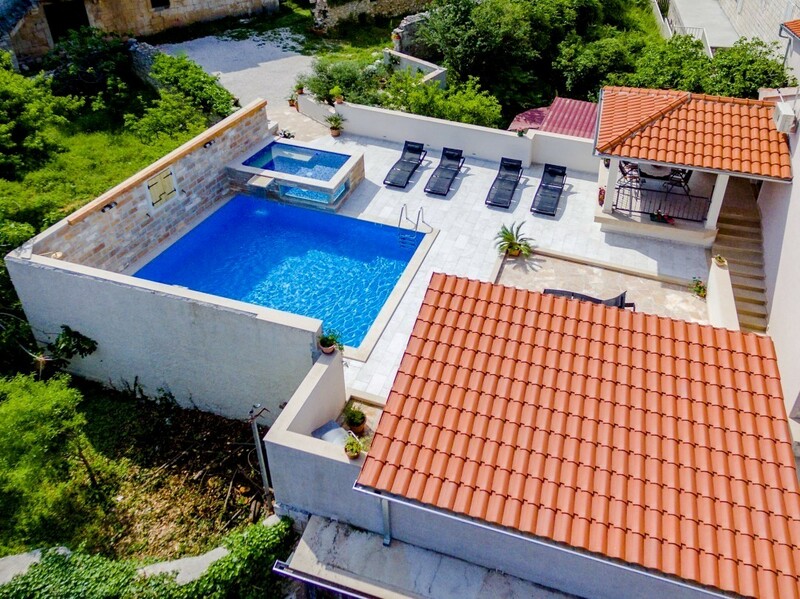 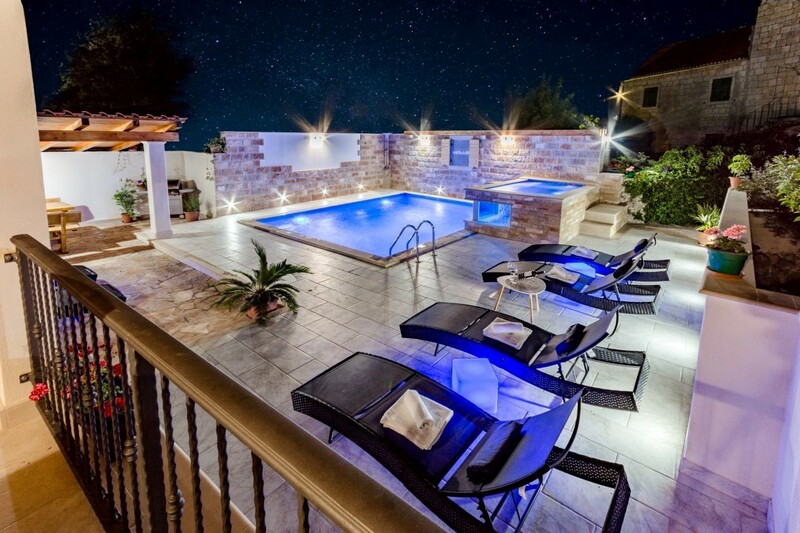 Guests can enjoy in a private pool and Jacuzzi and if they want to prepare Dalmatian homemade food, they have a barbecue. 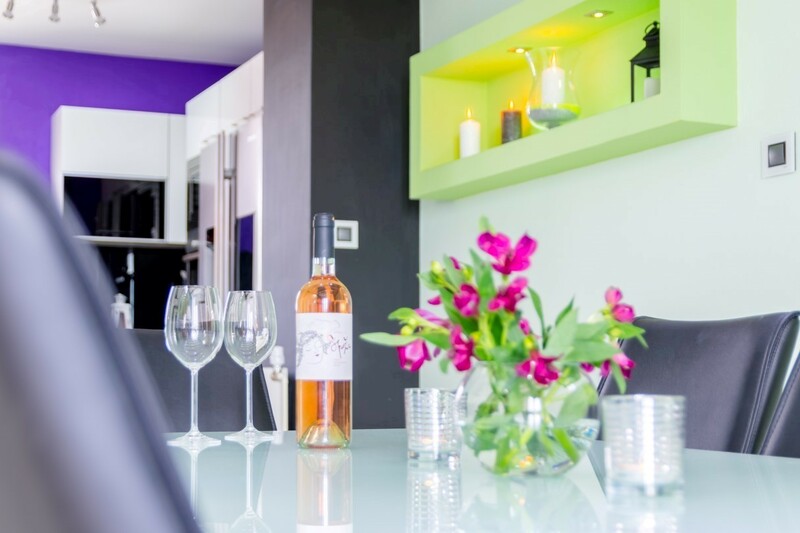 Relax with a glass of homemade wine and enjoy the view of the island which gives the beautiful villa itscharm. 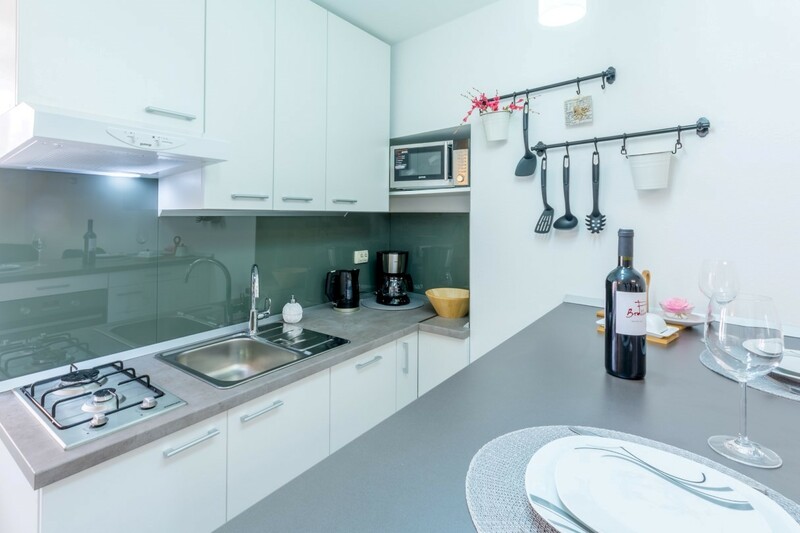 Cafe bars, restaurants and markets are only a few minutes away on foot. 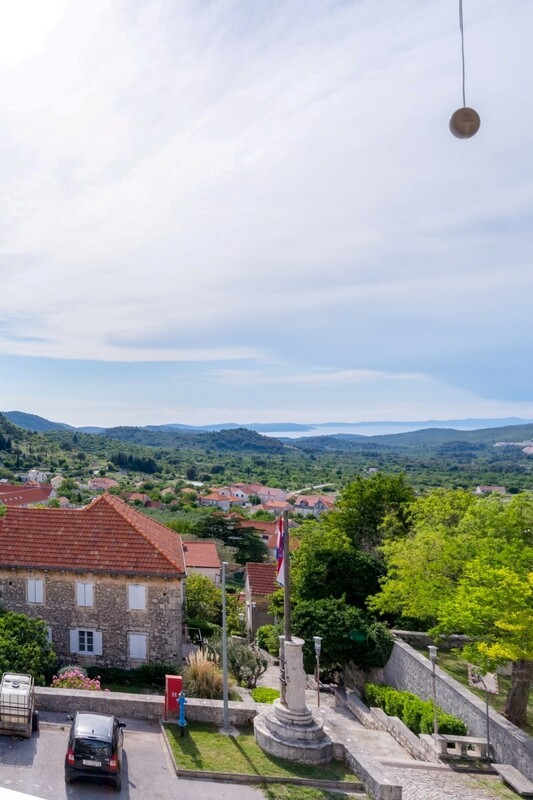 Guests can use two bicycles for exploring the surroundings. 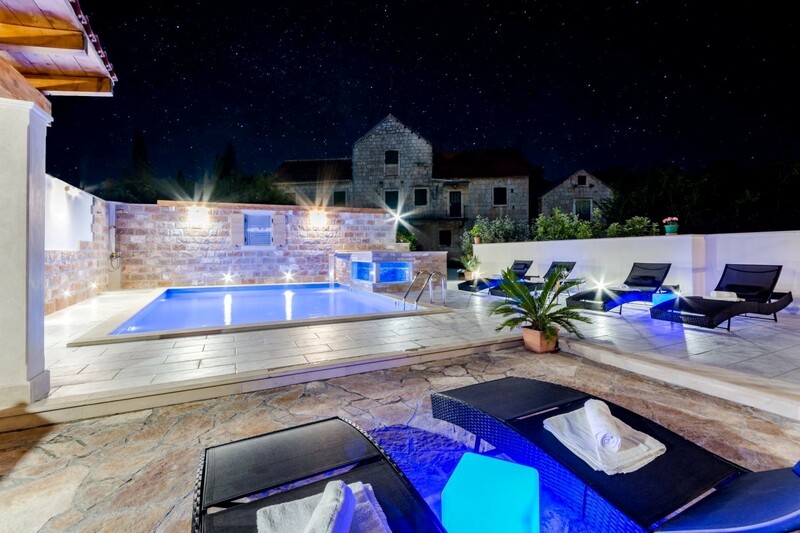 Enjoy the peaceful island Brač in the beautifully decorated and comfortable villa Silente. 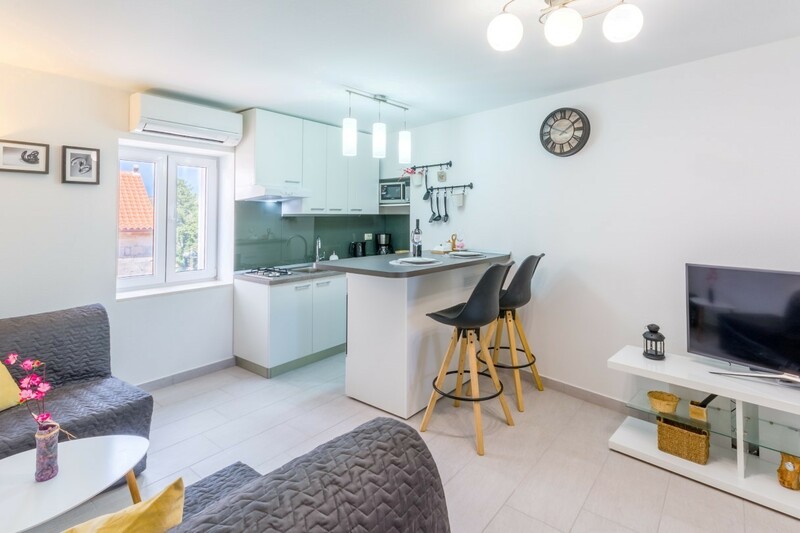 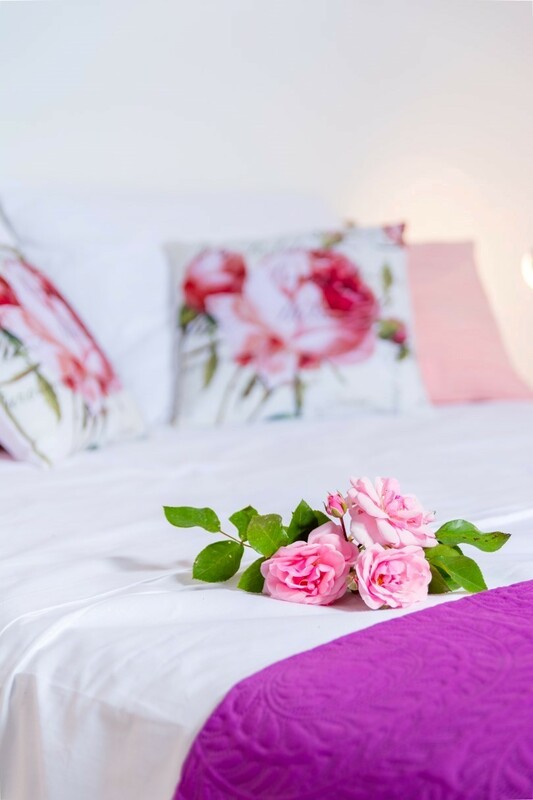 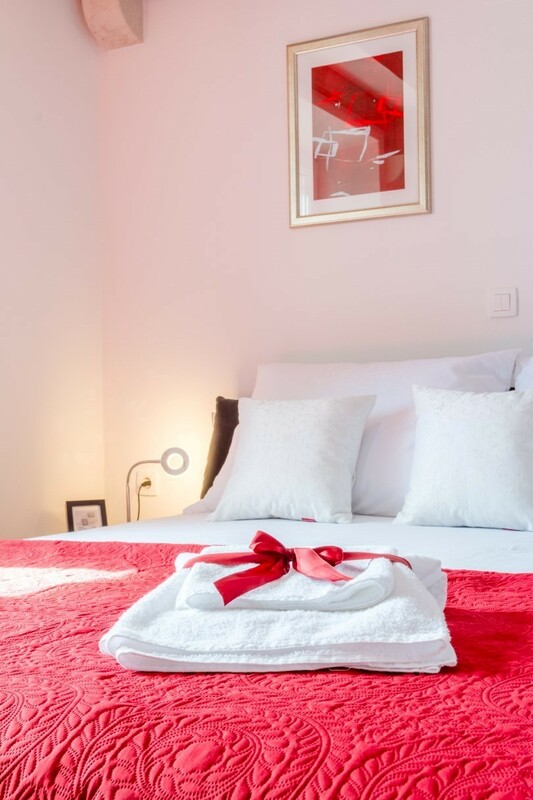 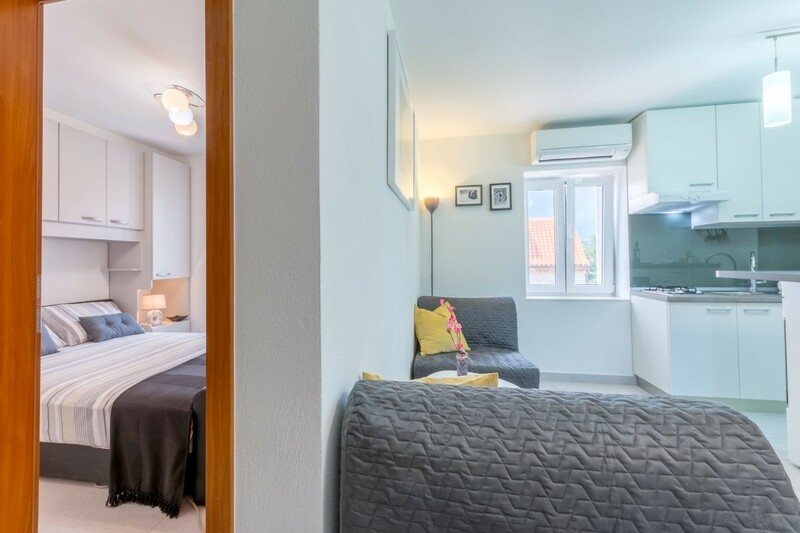 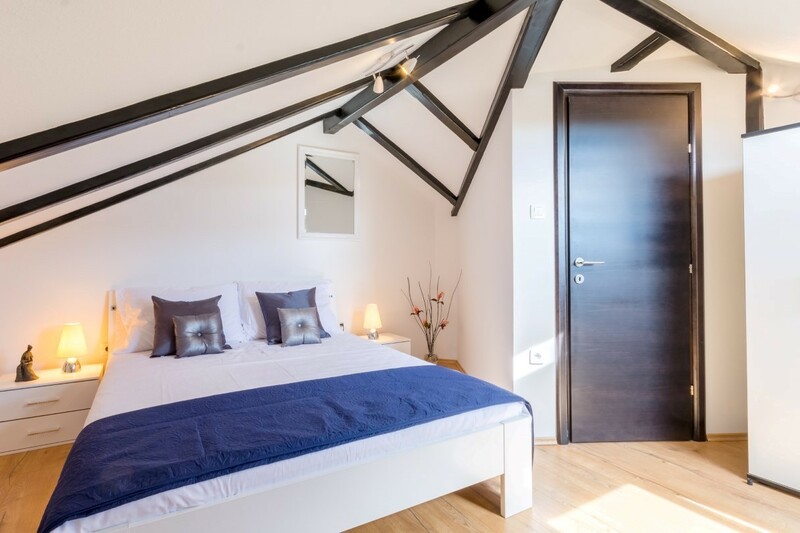 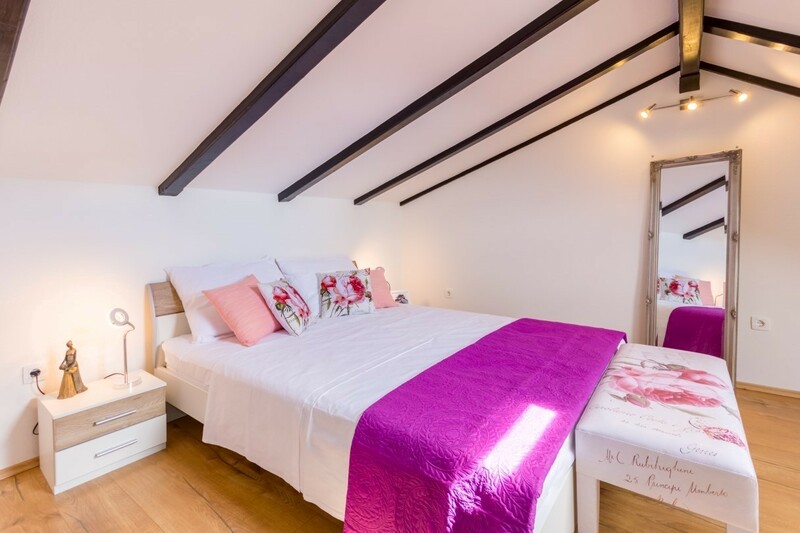 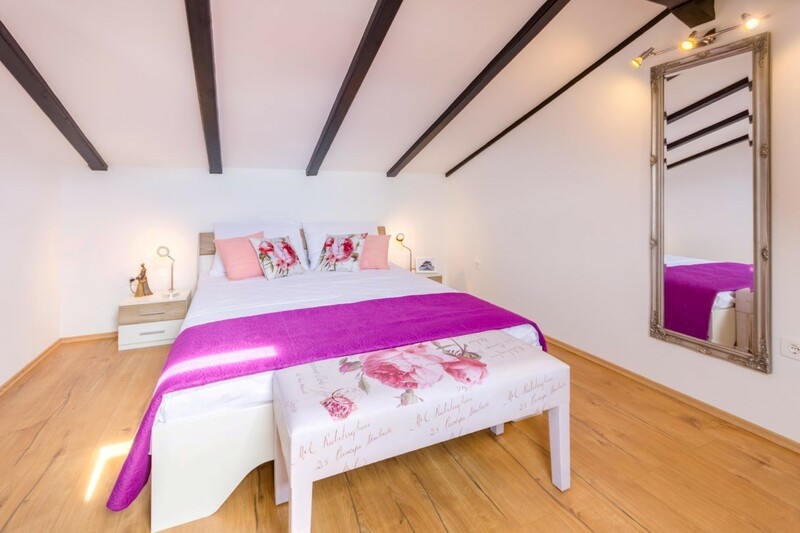 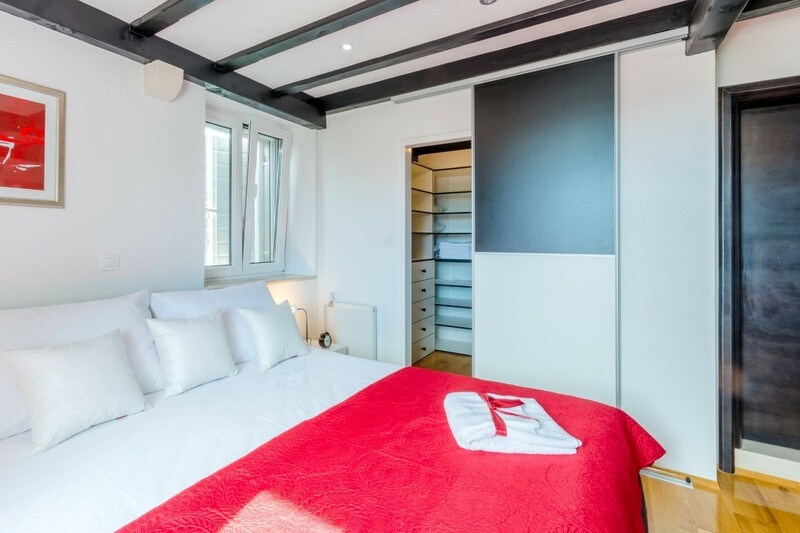 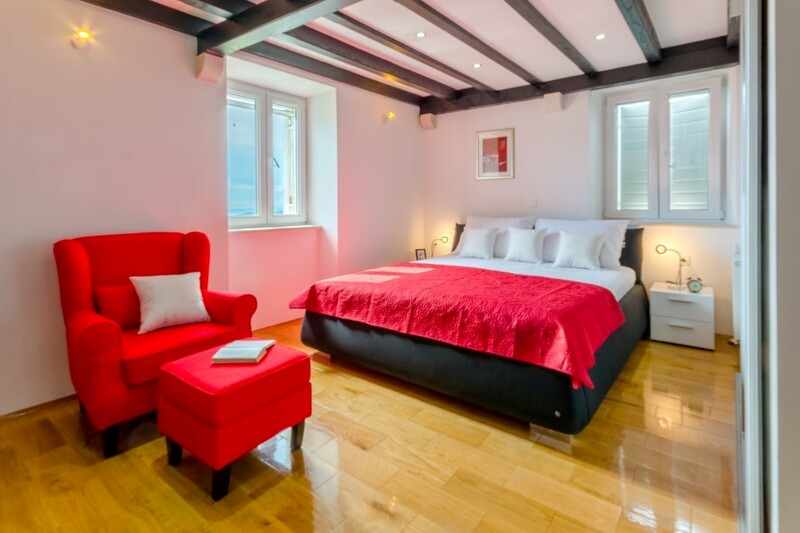 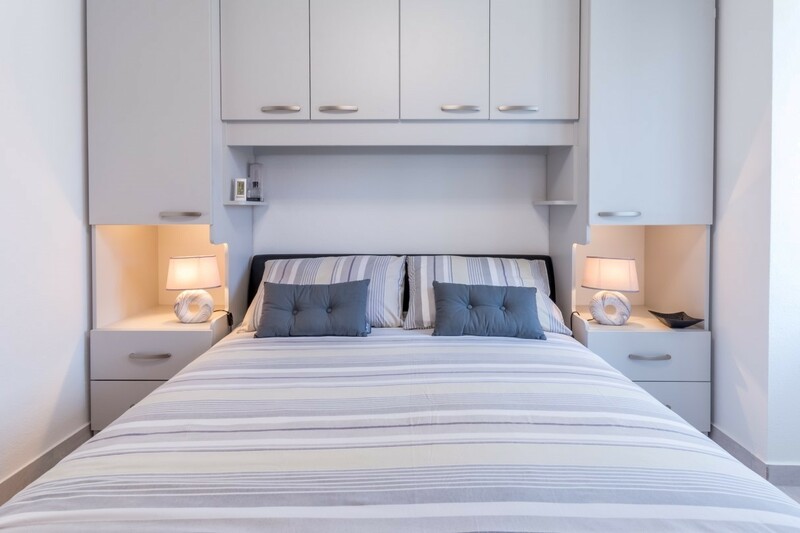 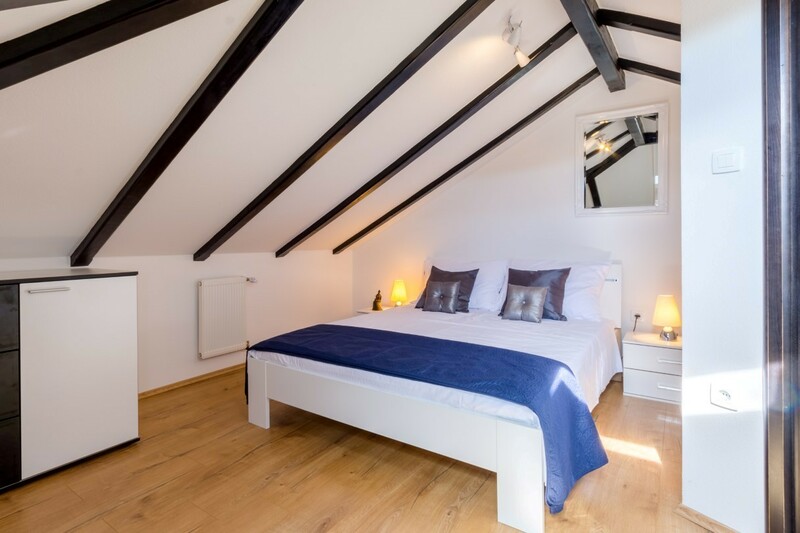 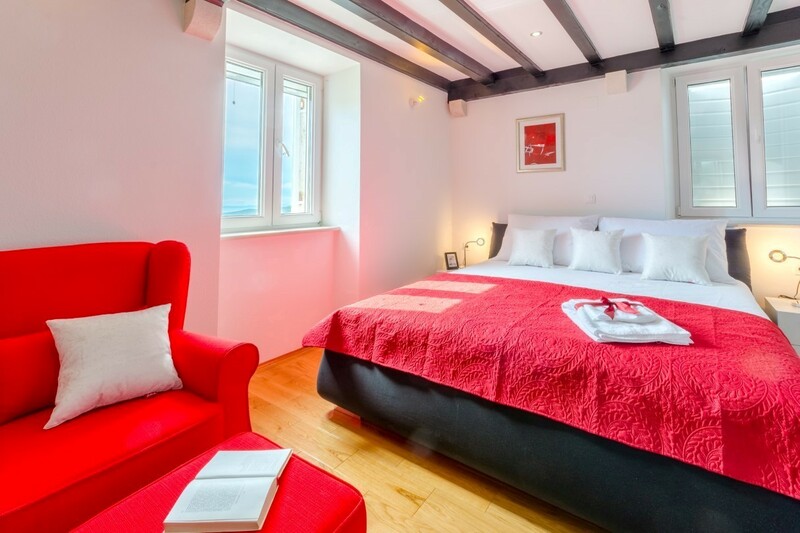 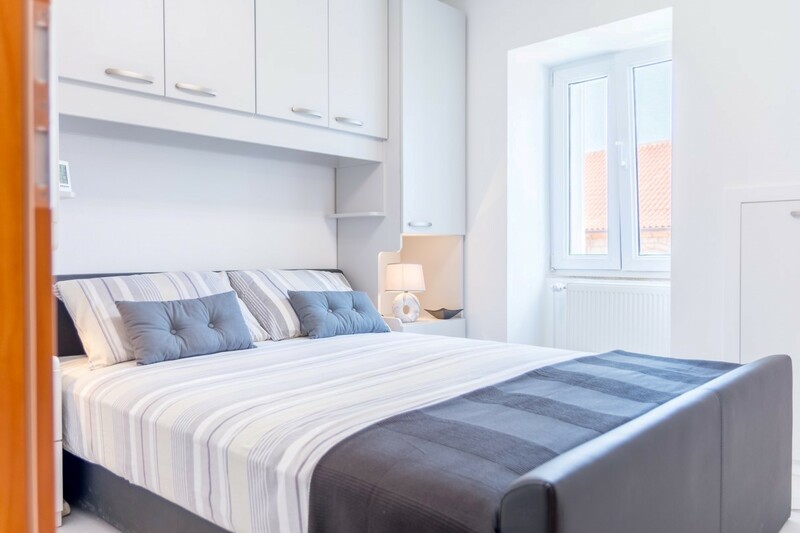 There is a possibility to add 1 additional bed in the second bedroom for 1 additional guest as well as on the sofa bed in the living rooms for 3 additional people.